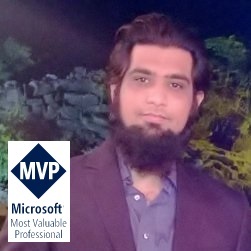 I was just exploring the Microsoft Exchange Web Services API for Office 365 through which you can programmatically perform several operations on Office 365 Exchange account. In this post i will walk you through the application which sends the selected file to particular recipient as an attachment. 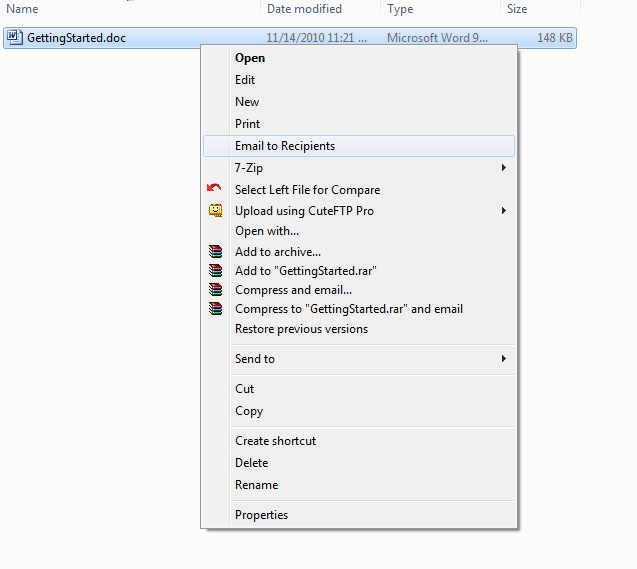 It does not only sends a document but also registers a new context menu on files/document in windows registry that gives an option to user to just select the file and email it as an attachment. Below snap shows the console window that displays the processing log when the user initiated the request. Let’s start with the actual work. 1. First of all you need to create an Office365 account from MS Office365 site and download the Microsoft Exchange Web API 1.1. from Microsoft Exchange Web Services API 1.1..
2. Now there are two projects mainly, one which creates an entry into registry. For this i have created a windows application that makes an entry into the registry. Other one is the console application which sends a document selected to the recipient specified in the app.config. This is just for the demo purpose you can also specify a list somewhere in the database etc and read the recipient addresses from there. 3. Below is the screen shot of the Windows form application from where the user creates a context menu in the windows registry at file level. Above screen show two text field controls named Menu Name and Exe Path. In the “Menu Name” text field we just specify the menu we want to create in the windows registry where as the “Exe Path” holds the executable (in our case a console application) that launches when user click on that menu. Following is the code snippet for making an entry into registry. This will create an entry into the registry. 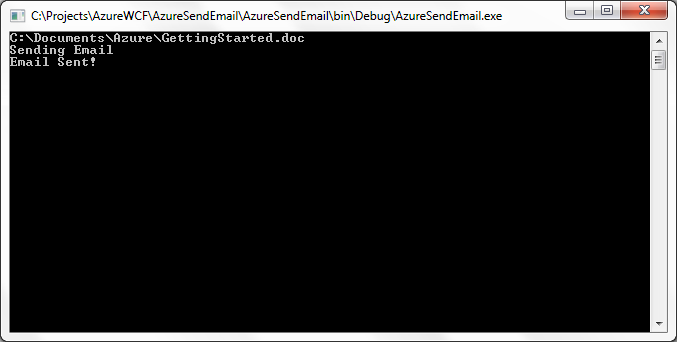 Lets now create a console application which will use Web Exchange API to send emails. 4. Create a new Console Application project. 5. Add Reference to Microsoft.Exchange.WebServices. 6. Following code snippet shows the way of using Web Exchange Service and send an email as an attachment. //Create an email message and initialize it with the from address, to address, subject and the body of the email. Below is the screen shot of the email item received on my Inbox at Office 365 exchange. I cherished as much as you will receive performed proper here. The sketch is attractive, your authored subject matter stylish. nonetheless, you command get got an shakiness over that you want be handing over the following. in poor health indubitably come further earlier once more since exactly the same nearly a lot frequently within case you defend this increase. I was looking through some of your blog posts on this website and I conceive this website is really informative! Keep posting. I’ve learn a few excellent stuff here. Certainly value bookmarking for revisiting. I surprise how so much attempt you put to make one of these wonderful informative website. Thank you so much pertaining to giving me personally an update on this theme on your web page. Please be aware that if a fresh post becomes available or if perhaps any changes occur on the current post, I would be interested in reading more and understanding how to make good utilization of those strategies you reveal. Thanks for your time and consideration of people by making your blog available. I was studying some of your articles on this internet site and I conceive this web site is really instructive! Continue putting up. I am lucky that I observed this web blog, precisely the right info that I was searching for! Thanks for any other informative web site. Where else may I get that type of info written in such a perfect means? I have a project that I am just now operating on, and I have been on the look out for such info. I do agree with all of the concepts you have offered on your post. They are really convincing and will definitely work. Still, the posts are very brief for starters. May you please lengthen them a bit from next time? Thanks for the post. Rattling superb info can be found on website . “I said I didn’t want to run for president. I didn’t ask you to believe me.” by Mario M Cuomo. Wow, marvelous weblog format! How lengthy have you ever been blogging for? you make blogging look easy. The overall look of your site is wonderful, let alone the content material! Great – I should certainly pronounce, impressed with your web site. I had no trouble navigating through all tabs as well as related info ended up being truly easy to do to access. I recently found what I hoped for before you know it at all. Reasonably unusual. Is likely to appreciate it for those who add forums or something, site theme . a tones way for your client to communicate. Nice task. I conceive this web site holds very superb composed content material content. I cherished as much as you will obtain carried out proper here. The cartoon is tasteful, your authored material stylish. however, you command get bought an impatience over that you wish be turning in the following. ill for sure come more in the past once more since exactly the similar just about a lot regularly within case you protect this hike. Hi there, just became aware of your blog through Google, and found that it is truly informative. Iím going to watch out for brussels. Iíll be grateful if you continue this in future. Numerous people will be benefited from your writing. Cheers! I wanted to show my respect for your good work. I just don’t know how you been able to makes this interesting, but you did. Thank you. Excellent weblog right here! Also your website loads up very fast! What host are you using? Can I am getting your affiliate link in your host? I desire my web site loaded up as fast as yours lol. Certainly I like your website, but you have to check the spelling on quite a few of your posts. A number of them are rife with spelling problems and I find it very bothersome to inform you. Nevertheless I’ll certainly come back again! Thank you for the auspicious writeup. It actually was a leisure account it. Look complicated to more added agreeable from you! However, how can we communicate? I think this is by far the most important info for me personally. And i’m glad going through your page. However need to provide feedback on some general things, The site style and design is excellent, the articles is indeed very good. Excellent job, cheers! Your method of telling all in this post is in fact fastidious, all be capable of without difficulty know it, Thanks a lot. But wanna admit that this is extremely helpful, Thanks for taking your time to write this. “The least of learning is done in the classrooms.” by Thomas Merton. you’re in point of fact a good webmaster. The site loading velocity is incredible. It sort of feels that you are doing any distinctive trick. Moreover, The contents are masterwork. you have performed a fantastic task in this topic! We would like to thank you all over again for the lovely ideas you offered Jesse when preparing her post-graduate research and also, most importantly, for providing all the ideas in one blog post. Provided that we had been aware of your blog a year ago, we would have been kept from the nonessential measures we were choosing. Thank you very much. Thankyou for all your efforts that you have put in this. very interesting information. “You can’t help someone get up a hill without getting closer to the top yourself.” by Gen. H. Norman Schwarzkopf. I conceive this web site holds very excellent indited subject matter content. I am glad that I discovered this web blog, precisely the right info that I was searching for! I had been honored to obtain a call coming from a friend as soon as he identified the important tips shared on your own site. Examining your blog posting is a real great experience. Thank you for thinking about readers much like me, and I want for you the best of success like a professional arena. I was looking at some of your content on this site and I believe this website is very informative! Keep putting up. I believe this website has some very fantastic information for everyone :D. “Calamity is the test of integrity.” by Samuel Richardson. I became honored to receive a call from my friend as soon as he discovered the important points shared on the site. Examining your blog post is a real fantastic experience. Thanks again for thinking about readers much like me, and I want for you the best of achievements being a professional realm. Wow! Even though I know this stuff is out of my league. Its still very interesting. I am only writing to let you know what a extraordinary encounter my child undergone studying your web site. She came to understand so many issues, which include how it is like to have a great giving spirit to let certain people with ease thoroughly grasp a number of extremely tough subject areas. You really exceeded visitors’ expectations. Many thanks for coming up with the interesting, healthy, explanatory as well as fun guidance on the topic to Gloria.